We are super excited to report the fantastic response from our ladies! 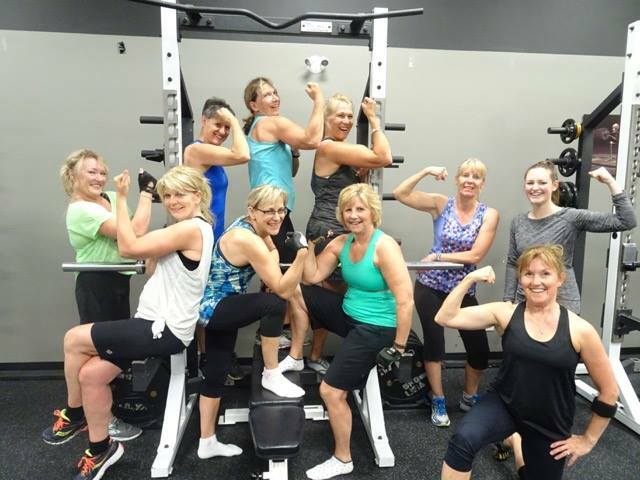 Mackie Physiotherapy is running specialized training programs for athletes, special interest (powerlifting) and these ladies that just want to train like Blaine. We take the specialized training programs and modify them for use with different populations. These ladies, self-titled; Menopausal Mayhem, have absolutely killed it. They have made tremendous gains in 6 weeks. Pounds have been lost and inches reduced, and most importantly, strength gained! I am absolutely amazed at their commitment and results. I absolutely thank these ladies for their commitment and participation in this very aggressive training program. Our Militia camp is a specialized program, so contact the clinic today to find out when the next session is available!